The Texas Legislature is so convinced of the benefit of teaching our youth to be good citizens that it made a course in citizenship a requirement in every school, including homeschool. THSC members can take advantage of our free homeschool government curriculum for older students. But this is one subject that can be taught at an early age—even preschool—by simply celebrating federal holidays in your home and community. Why Is It Important To Be a Good Citizen? It has been said that what makes a good Christian makes a good citizen. At its core, good citizenship is loving our neighbor as we love ourselves and being good and grateful stewards of our homes, communities, towns and cities, states, country and planet. There’s a lot to that, but the courts have simplified it for educators to mean a study of civics or government. We must be vigilant for threats to our citizenry from within and without, and be ready to respond in legal, civil, organized and peaceful ways to protect human rights and God-given rights. Essential to defending both of these is education in the political process. Texas homeschool parents fought a spiritual, political and legal battle to force the state to recognize our rights as parents. Still today, there are many who don’t believe that parents should educate their children at home, and every time the Texas Legislature goes into session, our freedom to do so could be placed on the “chopping block.” This is why we send THSC Watchmen to stand guard by pouring through thousands of pages of bills each session and to quickly mobilize an opposition to legislation that jeopardizes our freedom. Homeschoolers have become recognized as a group of activists who are dedicated to electing those who support their rights and freedoms, and elected officials pay attention to our collective voice. Proposed legislation at the local, state and national levels directly affect our family freedom to direct the upbringing and education of our children. Will the generation of the future be ready to combat this? The Texas Education Code (25.086) allows a student who attends a private school which teaches a study of good citizenship to be exempt from the compulsory attendance law. Since homeschools are considered private schools in Texas, if you teach good citizenship in your homeschool (and meet the other requirements), you are exempt from compulsory attendance laws. Visit this link for more information on state requirements. Looking for good citizenship lesson plans? If you join THSC, you can download the THSC “Lone Star Study” guide. Using this to teach your students will fulfill the good citizenship requirement in Texas state law! Is your student 16 or older? Consider becoming a THSC PAC volunteer—the THSC Political Action Committee (PAC) Team exposes corrupt judges, acts as a watchdog against questionable politicians, and creates homeschool legal policy. This can count toward high school credit and would look fantastic on a resume! Drafting and presenting a research paper on a specific topic. Students will learn about civics, being a good citizen, and the important role they play in politics! The THSC Rangers Program comes as a free benefit to THSC Partner Groups. For clubs not part of a THSC Partner Group, student registration is $25 per family per semester for THSC members and $35 per family for non-members. A minimum of five homeschool students are needed to start a club, or you can find and join an existing club. This program was created by THSC to recognize homeschool students who participate in good citizenship activities. Earn credits and awards while helping your community through civics! New voters can be registered most easily when an adult becomes a deputy voter registrar. The parent or support group member can then work with home school students as a deputy voter registrar to take voter registration cards to people, who then fill them in and return them to the deputy voter registrar. These completed cards will then be delivered by the deputy voter registrar to the voter registrar of the county. Homeschool students can use support group meetings, church meetings, and other gatherings to register new voters. Deputy voter registrars will be responsible for documenting the number of hours completed by homeschool students in this area for credit toward the THSC Good Citizenship Certificate. In addition, THSC will award the Alamo Good Citizenship Award to the student who registers the most new voters in Texas for each year. Credit for the Good Citizenship Certificate may also be earned by volunteer work in the campaign process of candidates for public office. Any local, state or federal campaign qualifies for this effort. Campaign officials are responsible for documenting the number of hours completed by homeschool students in this area for credit toward the THSC Good Citizenship Certificate. In addition, THSC will award the Ranger Good Citizenship Award to the student with the most hours of volunteer work in political campaigns. 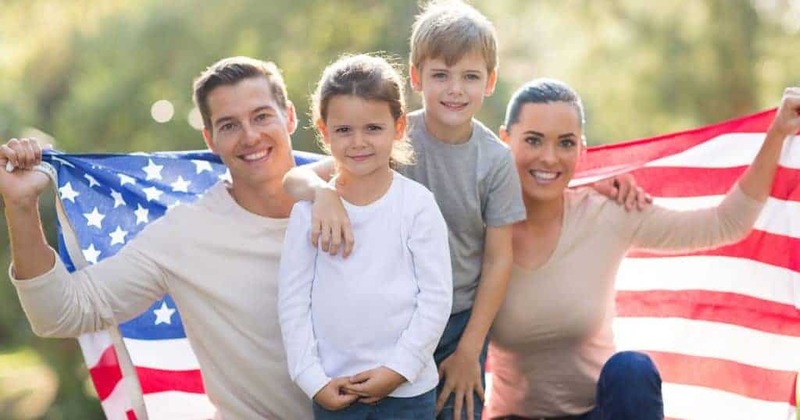 Homeschool students may earn credit for good citizenship in the political party process by volunteering to help at precinct, county, senatorial or state conventions or at other political party functions of their chosen political party. Political party officers are responsible for documenting the number of hours completed by homeschool students in this area for credit toward the THSC Good Citizenship Certificate. In addition, THSC will award the Lone Star Good Citizenship Award to the homschool student with the most hours in the category of the political party process in Texas. Credit for this certificate may also be earned by students who are involved in the legislative process at any local, state, or federal level. Time spent working for or against any particular political issue qualifies. Parents or leaders of any group working on such issues are responsible for documenting the number of hours completed by homeschool students in this area for credit toward the THSC Good Citizenship Certificate. In addition, THSC will award the Republic Good Citizenship Award to the homeschool student with the most hours each year in the category of the legislative process. Has your student already done volunteer civic work? Fill out this form to receive a THSC Good Citizenship Certificate and for a chance to win one of the THSC Good Citizenship awards! Aim even higher than Texas recognition with a multi-year, multi-faceted, documented effort toward living good citizenship. The Congressional Award is open to all youth ages 14-23, no matter one’s GPA or special needs. Participants must be willing to better themselves and the communities they live in. Some extracurricular activities that your students are involved in may already apply toward an award! Congress established the Congressional Award in 1979 to recognize initiative, achievement and service in young people. The award of gold, silver or bronze is based on goals that participants set and achieve, and it is through fulfilling their goals that participants become better citizens and benefit their communities. Visit www.CongressionalAward.org for more information. Certain holidays hold great opportunity to learn about our civics issues, armed forces and the fight for our country’s freedom. As a parent, you have a very important mission to challenge your children to expand their knowledge. Here are a few holiday ideas to help you get started! Discuss why we celebrate this holiday. Talk to your children about segregation, and if you have older children, this can lead to a discussion about the racial tensions still occurring today. How did King exhibit good citizenship, and how might individuals becoming good citizens today change the racial violence and tensions of today? For artistic students—make a collage that brings the last part of King’s “I Have a Dream” speech to life. For English-loving students—find and interview someone who grew up during the Civil Rights movement, then write a report on the interview. Did you know that the first May Day began in the U.S. as a strike for better working conditions? Watch the above video. Discuss the labor movement afterward: approach the topic from the labor unions’ side and the government’s side. For artistic students: make a cone with flowers and surprise neighbors or friends! Visit a veterans cemetery or museum in your area. Spend time as a family walking through the cemetery or museum, noting family names, dates or events. Pray for the families of the quiet giants you see remembered there. Memorial Day is a time to celebrate those who have given their lives for our freedom, standing in the gap for our personal comfort, freedom to speak our thoughts and desires, and most importantly, the freedom to worship without fear. For sixth graders and up – carefully compare President Eisenhower’s public statement with his secret message the night before the invasion. Review the history of the American flag—why we honor it, and why our troops defend it. Websites such as WallBuilders.com and USFlag.org have wonderful information on our national flag. Make a patriotic snack like this one! Have a red, white, and blue scavenger hunt around your house or neighborhood. See who can find the most items. Consider giving a score to items of different colors, awarding a prize for the highest combined total (red items receive one point; blue items, two points; and white items, three points). Read these excerpts from Jean Fritz’s book, “Shh! We’re Writing the Constitution” and discuss it! Help younger students imagine what it would have been like to be a delegate. Peter Marshall said, “May we think of freedom, not as the right to do what we please, but as the opportunity to do what is right.” Discuss how this statement compares to the belief of freedom now. Watch the above video on the history of Labor Day and discuss it. If you have older students, have them recount what they’ve learned about labor day in their studies. Why did the unions strike? Why did the government try to repress marches? Discuss the issue from both sides. 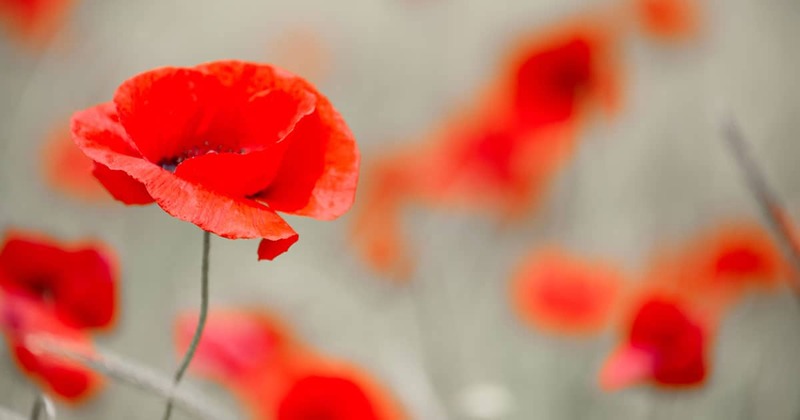 Did you know that Veteran’s Day began as Armistice Day after World War I? Send a thank-you card to a veteran. As simple as it sounds, veterans around the state would love to know that you are thinking of them. Many of our country’s veterans have lost a fellow serviceman and friend while serving our country. Sending a thank-you card addressed to the veterans receiving care or support at the local veterans administration office will make them feel appreciated and remembered. For older students: interview a veteran and write a narrative of their military experiences. This article which was published in 1925 in Collier’s “The National Weekly,” has timeless application to develop characteristics of good citizenship in younger children. I must be brave. This means I must be brave enough and strong enough to control what I think, and what I say and what I do, and I must always be hopeful because hope is power for improvement. I must act wisely. In school, at home, playing, working, reading or talking, I must learn how to choose the good and how to avoid the bad. I must make my character strong. My character is what I am, if not in the eyes of others, then in the eyes of my own conscience. Good thoughts in my mind will keep out bad thoughts. When I am busy doing good I shall have no time to do evil. I can build my character by training myself in good habits. I must make my mind strong. The better I know myself, my fellows and the world about me, the happier and more useful I shall be. I must always welcome useful knowledge in school, at home, everywhere. I must be truthful and honest. I must know what is true in order to do what is right. I must tell the truth without fear. I must be honest in all my dealings and in all my thoughts. Unless I am honest I cannot have self-respect. I must make my body strong. My eyes, my teeth, my heart, my whole body must be healthful so that my mind can work properly. I must keep physically and morally clean. I must use my strength to help others who need help. If I am strong I can help others, I can be kind, I can forgive those who hurt me and I can help and protect the weak, the suffering, the young and the old, and dumb animals. I must love. I must love God, who created not only this earth but also all men of all races, nations and creeds, who are my brothers. I must love my parents, my home, my neighbors, my country and be loyal to all these. I must know that there are always more things to learn. What I may know is small compared to what can be known. I must respect all who have more wisdom than I, and have reverence for all that is good. And I must know how and whom to obey. I must do all these things because I am accountable to God and humanity for how I live and how I can help my fellows, and for the extent to which my fellows may trust and depend on me. Students of all ages can start learning about our privilege to vote, the need to serve in our communities, and what the Bible has to say about good citizenship. Teaching your students to love country, state, community and take responsibility for it is something best taught by example. It’s never too late to start to be the person you want your student to grow up to be.